Who Does the Marriott Bonvoy Business Card Appeal to Most? Decision Time: Is the Marriott Bonvoy Business card Right for You? If you wind up spending a significant amount of money on hotels and travel every year, then it is a good idea to get a rewards credit card. Your business can benefit from having access to a good rewards card. When you use a rewards credit card in the proper way, it is possible to alleviate a good bit of your travel expenses. This can make a difference and it may also give you access to many special perks that will make your travel time that much nicer. There are actually many travel credit cards out there and many of the most popular ones are based around hotel rewards. This is the case for the credit card that we will be looking at today. The Marriott Bonvoy Business Credit Card has proven to be a popular option among people who love staying at the Marriott. Does this card have enough merit for you to want to give it a coveted spot in your wallet? 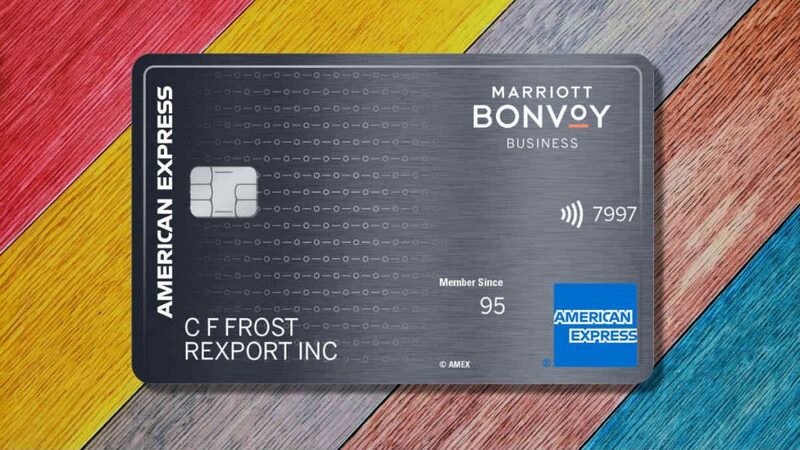 Join us as we take a deep look at the Marriott Bonvoy Business Credit Card. We are going to be looking at it from all of the different angles to see just how lucrative it can really be. It will give you a good idea of whether or not it will work out right for your business. Continue reading and we will learn about all of the important facts of this credit card together. You’ll earn 6X points per dollar spent at Marriott hotels. Earn 4x points at US restaurants, US gas stations, on US cell phone services and US shipping purchases. Earn an additional free night award after spending $60,000 on your card in a calendar year. The signup bonus is good, as it will earn you approximately enough points for three free nights at a category 5 hotel. The free night award each year for $125 is worth it if you can use the award on an otherwise expensive stay. Of course, you want to know what types of fees you can expect to deal with when you are signing up for any new credit card. Your business will not likely scoff at the fees of this card, as they are fairly low for the most part. This credit card has an annual fee of $125.00. This annual fee is pretty standard for a business credit card of this range and it is easy enough to justify it. There is going to be a cash advance fee for this credit card as well. If you choose to use this credit card to receive a cash advance, then there will be a fee of 3% or $5.00 and you will be charged whichever amount is greater. This is not any higher than other similar business credit cards and you are unlikely to use the cash advance feature unless you’re in dire need. This is not a fee that most businesses will be concerned about at all. The late payment and returned payment fees are all within normal ranges, too. You should expect to pay up to $38.00 for a late payment. When you have a returned payment, you will need to pay a flat fee of $38.00. This should work out fine for you and is all completely reasonable for a travel rewards business credit card. One of the positives about this credit card is that it does not have any foreign transaction fees. Many of the best business travel rewards credit cards are doing away with foreign transaction fees. It is not entirely uncommon for businesses to need to travel abroad from time to time. Not having to worry about getting hit with foreign transaction fees while you’re outside of the country is certainly a good thing. You should be able to expect a pretty good introductory offer when you sign up for this credit card. As of now, the bonus allows you to earn a fairly substantial number of bonus points for spending a certain amount of money in the first three months of being a cardholder. The introductory offer is something that is always changing, but this card usually has a pretty lucrative bonus. 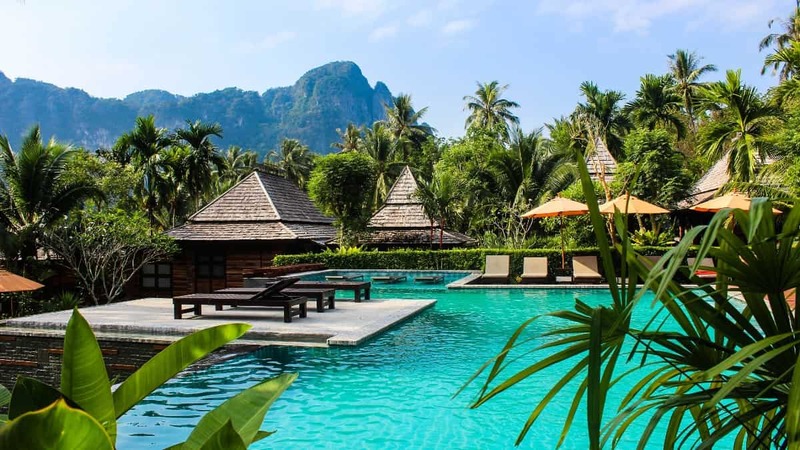 If you can take advantage of it, then you will be able to get a hefty sum of points to help you start alleviating some of those hotel costs. There are also many benefits to being a cardholder. 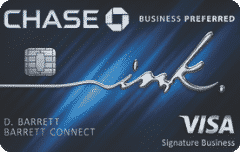 When you have this credit card it is going to give you automatic Silver Elite status at Marriott hotels. This allows you to earn 10% more points on your paid hotel stays. You will also be able to enjoy nice perks, such as late checkout and access to a dedicated reserve line. The best benefit of the Marriott Bonvoy Business card is that you will receive a free night award every calendar year automatically. You’ll also receive another free night award if you spend $60,000 in a calendar year on your card. These free night awards can be used at Marriott category 5 hotels and lower. A category 5 hotel, when booked with points, typically costs 35,000 points. You will also be on the path to earning Silver Elite status when you become a cardholder. It is possible to upgrade your membership status to Gold when you spend $35,000 on purchases within a calendar year. This can increase your benefits further and will make your new credit card that much more lucrative for your business. If you are a loyal Marriott customer, then the perks of being an elite member will come in handy all the time. Getting to that next level is not too hard either, as you will be receiving a 15 nights credit toward that next level of elite status. You will also be getting a free night awarded to you every single year. You can redeem this free night at any of the hotels under the Marriott umbrella that charge 35,000 points or less for one night. All of this can be enjoyed while also receiving standard benefits at the hotels, such as WiFi access. You will also be able to receive compensation if one of the Marriott hotels is unable to honor your reservation. This is a nice feature that helps to mitigate any problems that might arise due to an overbooked hotel. Situations such as this are rare, but it is good to know that you will be taken care of if something such as this does occur. This card will prove to be very beneficial for any business travelers that stay at Marriott hotels often. The rewards program of the Marriott Bonvoy Business Credit Card is where it truly starts to stand out as a particularly appealing option. Cardholders will be able to earn 6X points per $1.00 spent at all participating Marriott Bonvoy hotels. 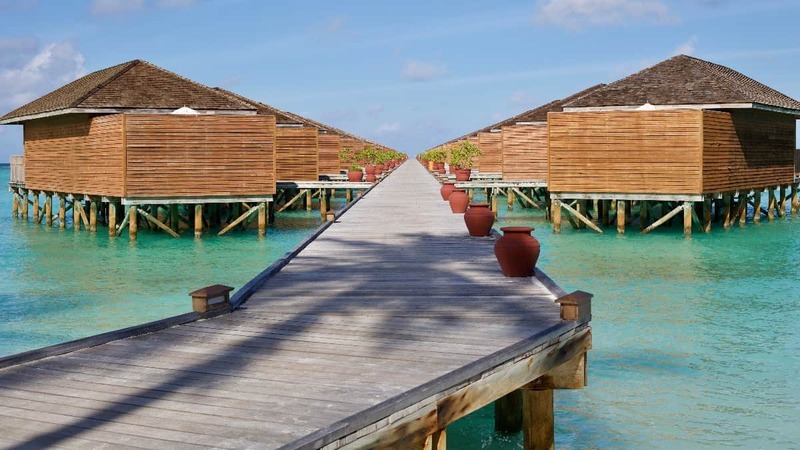 There are a large number of Marriott Bonvoy hotels and this makes it very easy to earn that 6X bonus points rate for businesses that travel frequently. If you are already a regular Marriott customer, then this credit card is going to be particularly lucrative for you. You will also be able to earn an increased point total on other spending categories as well. It is possible to earn 4X bonus points per $1.00 spent at US gas stations, US restaurants, US shipping purchases, and wireless telephone services that are purchased directly from a US service. These categories are going to be very practical for many businesses, making it another good constant source of rewards points. Businesses can pay for their wireless telephone services with this credit card every month, as well as any regular US shipping purchases. All of your other purchases will earn you 2X points per $1.00 spent. This makes it a pretty decent normal rewards card for other purchases as well. If you need to use this credit card for random other purchases, it will at least earn you 2X points. This is one of the most practical business credit cards for people who want to earn travel rewards constantly. The fact that you have automatic Silver Elite status at the Marriott hotels is going to help you out, too. This allows you to earn more points than usual just for being an elite member. When you spend money at Marriott Bonvoy hotels, you will actually be able to earn 17X points for every $1.00 spent when all is said and done. This is an astounding point total that will help you to earn rewards very fast. Redemption options for your points are pretty good overall, too. The Marriott Bonvoy rewards redemption program has eight different tiers for you to choose from. This gives you quite a bit of nuance when you are choosing how to redeem your points for hotel stays. For the most part, the rewards redemptions are split between various off-peak periods and peak periods of time. The point cost of the award nights will differ depending on certain factors, but you will have many choices available to you. The rewards points that you have earned can also be transferred over to an airline. There are more than 40 airline partners in this program and this gives you several choices for where you want your miles to go. Many of these programs allow you to transfer your points at a very favorable ratio. It can certainly be useful when you want to help pay for an upcoming business trip. The great rewards potential of this credit card is hard to deny. You will be able to earn tons of points if you stay at Marriott Bonvoy hotels regularly. The card also allows you to earn 4X points per $1.00 spent in categories such as US restaurants and US gas stations. This is a card that will truly work out perfectly for many businesses that travel regularly. Being able to get automatic Silver Elite status is fantastic as well. You will be able to earn extra points for staying at Marriott Bonvoy hotels on top of your normal base points that you already receive. It allows you to really make the most out of your Marriott Bonvoy purchases. Cardholders also receive special perks at the hotel, such as late checkouts and free WiFi. There are many different reward redemption options available to you as a cardholder as well. If you like having options, then this card might be the one for your business. You can redeem your points for hotel stays in various different tiers. There are also many airline transfer partners, allowing you to pay for airfare using your earned rewards quite easily. The lack of foreign transaction fees is a really nice touch, too. If your business travels outside of the country often, then you do not want to have any foreign transaction fees dangling over your head. This card does away with those fees entirely and is more customer friendly because of it. All of the fees are pretty reasonable for this card, so you should always have a good overall experience. Overall, the Marriott Bonvoy Business Credit Card is very good. It is a card that is going to appeal to many people, so there are not many negative things to say about it. Some businesses do not like having to pay annual fees, though. This does have a $125.00 annual fee. Some credit cards may offer more flexibility in certain areas. This card does have many different bonus categories, but some of them are limited to US purchases. If you travel abroad, then it may be disappointing to not be able to earn 4X bonus points for foreign gas station purchases. It is not a huge deal for most businesses, but some will see that as a potential negative. The fact that there are no cash back or statement credit options for this credit card may hurt it as well. If you like to have extremely flexible redemption options for your rewards credit cards, then this one may not be for you. The rewards redemption options for this card are all travel oriented. You will be able to redeem points to stay in hotels or you can transfer the points to various airlines. If you want more nuanced than that, then you will be better off seeking a more general business credit card. Getting approved for this credit card is going to require a very good credit score. It is recommended that you have a credit score of 690 or higher before you think of applying for this one. Those who have scores that are in the excellent range will likely have an easy time being approved for the card. Checking your credit score before applying for this card is always a good idea to make sure that you will have a chance of getting it. This credit card is primarily going to appeal to businesses that have a lot of travel expenses. If you do not travel often enough, then you will not be able to use the rewards that you are earning from this credit card. The credit card rewards you by allowing you to pay for hotel stays and airfare with your earned points. 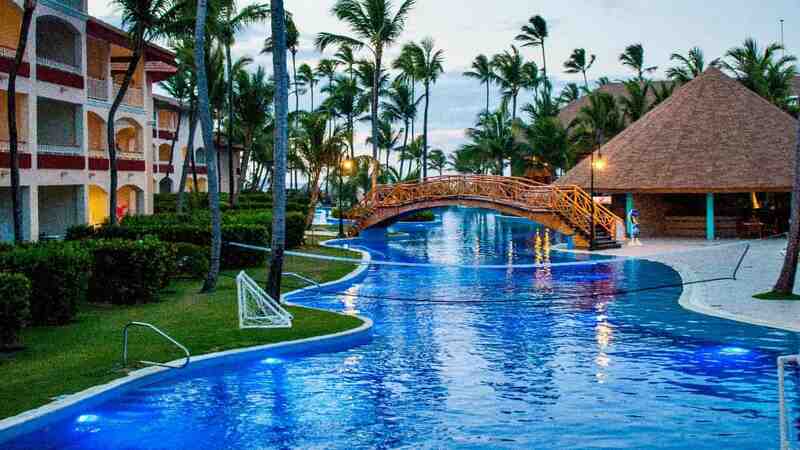 If you do not travel more than a couple of times per year on business, then there may be better business credit cards out there for your situation. Businesses that do have travel expenses will love this card. It is great for any business that loves staying at the Marriott hotels. Being that there are so many hotels that fall under the Marriott umbrella now, it is easy to take advantage of the bonus point opportunities. 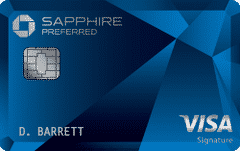 The card also appeals to regular Marriott customers due to it giving access to automatic Silver Elite status. The Silver Elite status can improve your Marriott experience while allowing you to earn even more points than usual. Any businesses that spend money on US shipping and wireless telephone services will enjoy being able to earn 4X points per $1.00 spent as well. It may not earn you quite as many points as staying at Marriott Bonvoy hotels, but it does allow businesses to constantly earn rewards points every month for normal bills. If you need an alternative to this credit card, then you may want to consider the Capital One Spark Cash for Business credit card. This credit card is incredibly flexible and allows just about any business to use it to its full potential. You will be able to earn an unlimited amount of cash back at a 2% rate. If you prefer cash back options to earning points that you can use to pay for travel, then this will be the better card. Of course, you will not be getting the same perks if you decide to go with this card. Both cards are very good in their own right. Which card will be better for your business will come down to your spending habits and how often you can use your earned rewards from the Marriott Bonvoy Business Credit Card. Weigh the positives of each credit card to determine which is better for your situation. The Marriott Bonvoy Business Credit Card is a perfect fit for many businesses. If you spend a lot of money on travel expenses, then this is a card that will be very useful to you. It can give you a better experience at the Marriott hotels and it allows you to constantly earn rewards points. You can earn bonus points in various categories and will always be able to use the points to alleviate some of your travel expenses. These points even transfer over to various airlines in the form of miles. 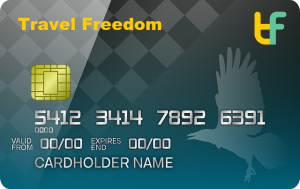 It makes it easy to use this card to its full potential when you travel regularly. For businesses that only travel sometimes, the rewards may not come in handy quite as often. So long as you can use this card properly, you should have a very good experience.